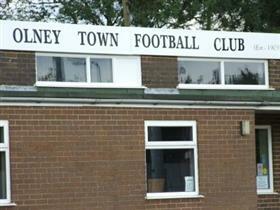 Olney Town FC was formed in 1903 and has a proud history in amateur football and currently plays in Division One of the United Counties League. Olney Town Football Club has 2 teams on Saturdays in the United Counties League, a Sunday side playing in the New City Heating MK League, a veterans side (over 35's) in the MK Veterans League as well as a Ladies side who play in the Thames Valley Ladies League. The club has recently had floodlights installed in line with FA requirements and has plans to develop its facilities even further with the addition and refurbishment of changing rooms. There is an active social club. The bar opening hours are detailed below. The club has all the latest sky channels to watch every game live on TV. To see the club results, check on its website (link below).